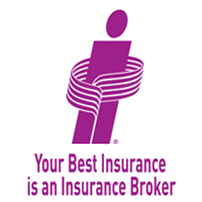 Call or Click to Save on Home Insurance! When it comes to home insurance, people typically have a lot of questions. Part of the reason why is that home insurance is one general category that encompasses so many different homes, policies, and coverage. What you consider your home might be a single detached house, a condominium, an apartment you’re renting, or perhaps a second home or seasonal cottage, vacation home or recreational property – all of which can have different risks and sustain different types of loss or damage. All of which can require different coverage and policies and premiums. So, yes, there are a number of frequently asked questions that pertain to insuring a range of specific homes, along with distinct coverage and policies. Here are some of those FAQs – plus, of course, answers – that will help you determine how to get the coverage that’s right for you. How do insurance companies calculate my premium? How do I know if I have enough home insurance? How can I lower what I pay for home insurance? Why is the replacement cost on my policy more than what I paid for my home? Are renovations I've had done covered by my home insurance? What's the difference between Comprehensive, Basic/Named Perils, Broad, and No Frills coverage? What do insurance companies look at when insuring my home? What about getting extra protection for my home? What if I rent my home out for a short period of time and come home to find it burglarized? What's the difference between home and condo insurance? Why do I need condo insurance if I'm already paying fees that cover the condominium complex? What's the difference between Basic Liability coverage and Contents coverage in tenants' insurance? Am I responsible if I sublet my apartment? Why is my vacation property insurance a "Named Perils" policy, and not a "Comprehensive" policy, like my home? Am I covered if I rent out my cottage and something happens? A: In the simplest of terms, insurance works by having the payments of the many pay for the losses of a few. The payments – or premiums – you pay go into a pool of funds managed by the insurance company. With more people contributing to the pool than those making claims, there is always enough to pay claims. Q: How do insurance companies calculate my premium? A: Essentially, your premium is calculated to reflect the probability of you making a claim. Those unlikely to draw from the pool pay less than those more likely to draw from it. Many factors are taken into consideration to determine the likelihood of you making a claim, with the statistical group to which you belong being one of the most reliable indicators to insurers. Yes, individual claims history is important, but even among those who have never made a claim – which reflects many policyholders – there is still the chance of a claim being made. Q: How do I know if I have enough insurance? A: Starting with the basic notion that all homeowners should insure their houses according to the cost of rebuilding the house in the event it was destroyed, there are three ways of determining adequate home insurance coverage. First, know your home… including the year it was built and how it is built. Helpful home assessment checklists can be found online. Second, go to a pro – your insurance professional – to help calculate the proper rebuilding value based on your home details. And third, take stock of what you own and create a complete room-by-room inventory of your belongings. It'll help you get the right coverage and make it easier filing a claim. Q: How can I lower what I pay for home insurance? 2. Bundle your home and car insurance with the same insurance company. 3. Have a sprinkler system, or monitored burglar or fire alarms installed. 4. Quit smoking. Many insurance companies will offer a lower rate corresponding to the lower risk of fire loss by removing the threat of fire from careless smoking. 1. Build a claim-free record. 2. Don't over-insure your home by including the value of your land, which can significantly add to your home's market value but isn't part of the insured value. Remember that your home should be insured for what it would cost to rebuild it. 3. Ask about other discounts, such as discounts for seniors. A: Replacement cost is the total cost your insurance company will pay to fully rebuild your home if it is destroyed. Replacement costs can include things not included in the resale value, such as the cost of skilled labour, debris removal, extra expenses from stricter building codes, and so on. Recent upgrades and renovations can make rebuilding your home more expensive than originally estimated in your insurance policy. Q: Why is the replacement cost on my policy more than what I paid for my home? Upgrades, renovations and other improvements made to your home can make rebuilding it more expensive than the original cost. Construction on your home may need to meet newer, stricter building codes. Demolition and preparation costs need to be included in the replacement cost. Materials used to build your home may have gone up in price or may no longer be available. A contractor rebuilding only one home won't benefit from the same cost efficiencies as a builder constructing many homes within a development. Following some catastrophic events (such as a wildfire), labour and building materials may be scarce, resulting in inflated construction costs. Q: Are renovations I've had done covered by my home insurance? A: If your insurance company doesn't know about your renovations, you may not have enough coverage. Have the improvements you've made affected the replacement cost of your home? For example, by expanding your kitchen and adding new appliances and granite countertops, you have added value to your home. Your insurance should reflect those changes to ensure you have adequate coverage. While some policies cover minor remodeling work, always check with your insurance representative to be sure, even if you think the changes are small. Q: What's the difference between Comprehensive, Basic / Named Perils, Broad, and No Frills coverage? The most inclusive home insurance policy, a comprehensive policy covers both the building and its contents for all risks – except for those specifically excluded. Two types of insurance risks not normally included are those for which you can buy insurance (often deemed "optional coverage") and those for which insurance is not available ("uninsurable perils"). By carrying the financial risk of some losses yourself, you can choose a policy that covers only the perils specifically stated in your policy. This type of policy naturally costs less than a comprehensive policy. If a named perils policy seems too risky and a comprehensive policy costs more than you want to pay, the broad insurance policy is a mid-priced alternative. It typically provides comprehensive coverage on the building and named perils coverage on contents. Some insurance companies will offer very basic "no frills" coverage for properties that don't meet their normal standards. However, you might save money in the long run by correcting the problems that keep your property from meeting insurers' standards, thus qualifying you for better coverage. Q: What do insurance companies look at when insuring my home? A: To determine an appropriate premium for you to pay for home insurance, insurance companies first need to determine the likelihood of you making a claim. How do they do that? Here are seven factors insurers look at when determining risk. 1. Wiring: Knob-and-tube and aluminum wiring can increase the risk of fire. It may need to be inspected. Better still if you can replace it. 2. Plumbing : Lead or galvanized pipes usually mean plumbing is older and more susceptible to cracks, leaks and other problems. Plumbing upgraded to copper or plastic is generally more preferred. 3. Electrical : Breakers are preferred to fuses, and 100-amp service is a minimum to decrease the risk of fire. 4. Oil heating : A leaking oil tank can mean a costly environmental hazard, and so owners of oil-heated homes can expect insurers will want to know many details about the oil tank's age and condition. 5. Wood stoves : A common source of house fires and carbon-monoxide poisoning, especially if not properly installed and maintained, wood-burning stoves often need inspection before home insurance coverage can be received. 6. Roof : An updated roof, ideally within the last 20 years, is generally what insurance companies prefer. 7. Other uses : Insurance companies want to know if your home has a rental apartment, is used for business operations, or if any significant alterations to the structure have been made. Q: What about getting extra protection for my home? A: Additional protection, also known as optional coverage, can be purchased to provide greater peace-of-mind. Earthquake coverage, for example, covers loss or damage to your property caused by the actual shaking of the earth. Sewer back-up coverage, especially if your home is in a low-lying area or is an area where storm and sanitary sewers are combined, can provide vital coverage. It's important to recognize that these perils are not automatically included in home insurance policies. Q: What if I rent my home out for a short period of time and come home to find it burglarized? A: Your homeowner's policy is sold with the expectation that you will reside in the dwelling. Some policies do not permit you to rent your home out, even for a brief period. Always check with your insurance representative before considering any kind of rental. Q: What's the difference between home and condo insurance? A: Just as the owner of a house needs home insurance, you also need condo insurance to cover your condo unit and contents and to provide personal liability protection. While every condo association will have specific details in its master insurance policy, as a condo owner you're typically responsible for everything inside your unit's walls. For example, the condo corporation's master policy would usually cover the drywall and primer, but your policy covers the paint you put on the walls. Q: Why do I need condo insurance if I'm already paying fees that cover the condominium complex? A: Your monthly condo fees help pay for the insurance the condominium association (also called a condo corporation or board) needs for the condominium building, common areas, and liability. Condo fees are mandatory, non-negotiable monthly fees that represent your share of the costs to run the condo building and complex as a whole, including insurance. Typically, fees cover at least part of your water and hydro, and may include heat. Fees go towards maintenance and into a reserve fund as a contingency to pay for significant expenses such as a new roof or heating and plumbing repairs. Q: What's the difference between Basic Liability coverage and Contents coverage in tenants' insurance? A: A tenants' insurance policy should include both. Basic Liability coverage provides protection if you or your guests cause damage to your building, including your unit. Without this coverage, you could be sued for repair costs and financially responsible for the entire bill. Contents coverage replaces your belongings in the event of total loss or damage. People who decide not to buy contents coverage often fail to recognize how much it would cost to replace everything they own, even if their impression is that they own little of significant value. Q: Am I responsible for any damage if I sublet my apartment? A: While most tenants will recognize that a hole in an apartment wall is their responsibility – no matter who made it – they don't realize that something as commonplace as an overflowing toilet that does damage to their apartment (as well as the one below) can also be their responsibility. As a tenant who has signed the lease or rental agreement, it's important you protect yourself by buying tenants' insurance. Q: Why is my vacation property insurance a "Named Perils" policy, and not a "Comprehensive" policy, like my home? A: Unlike insurance for your primary home, vacation property insurance is almost always provided as a "Named Perils" policy because of the risk associated with part-time occupation of your vacation home. The "named perils" are specifically listed risks such as fire, explosion or smoke damage. Certain risks such as vandalism or water damage may be more expensive to include in the coverage because of the part-time occupancy. Q: Am I covered if I rent out my cottage and something happens?